Both mighty fine cars, an M8A McLaren would be far rarer than an ‘ally-block Corvette but i bet the factory didn’t sell too many of them. You could option the engine in a Camaro for a while as well, here in Australia Bob Jane won an Australian Touring Car Championship with one so equipped in 1971. 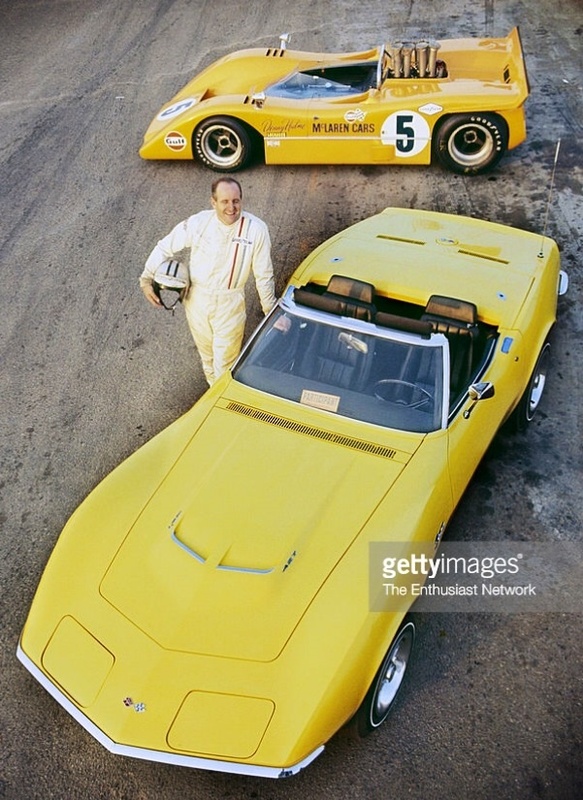 Must admit that I dont know when the Riverside race was in 68, but thats a 69 Corvette. 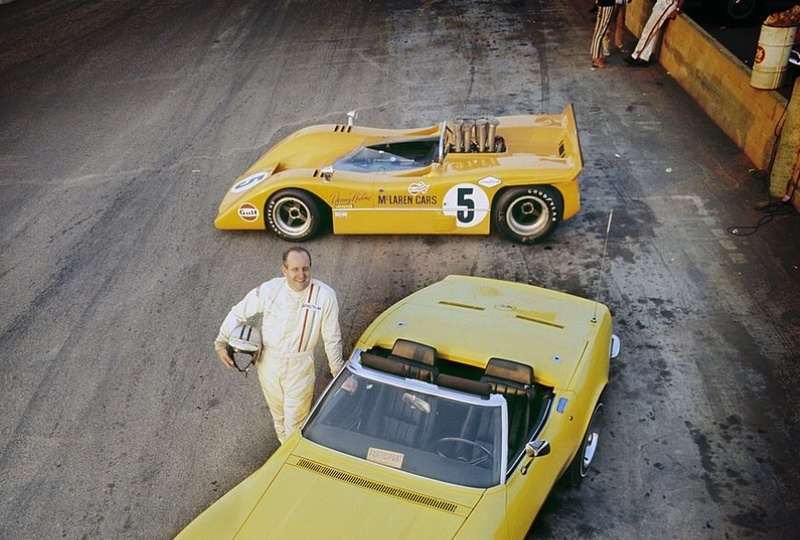 And…its not an aluminum block car – only two were produced for release , both coupes, and they had distinct striping. Approximately 50 Camaros were made, as well as apparently a dozen Chevelles. Did not realise the ally blocked cars were so rare- local Oz racer Bob Jane famously imported one of the Camaro’s so equipped and won the 1971 Australian Touring Car Championship in it- and in ’72 with a cast iron 350 when the local rules changed. Not sure of the VIN number but the car is still in Oz, still owned by Bob. Taking the point about the engine- Riverside ’68 was on the 27 October weekend, late in the year, so I wonder if it’s a photo shoot with Denny to promote the ’69 model in advance of its release?